Mix all of the meatball ingredients together except for the blue cheese, and mix well. 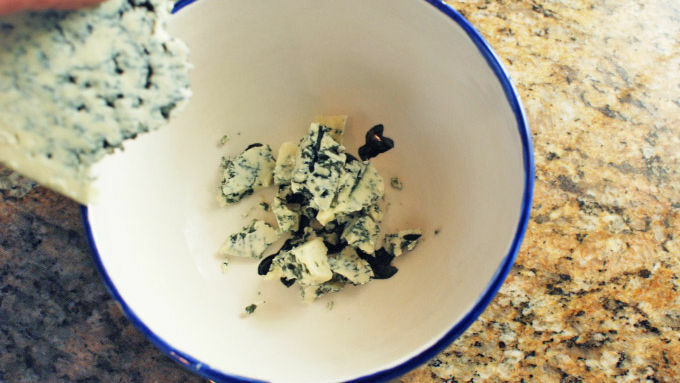 Crumble the blue cheese into large chunks. 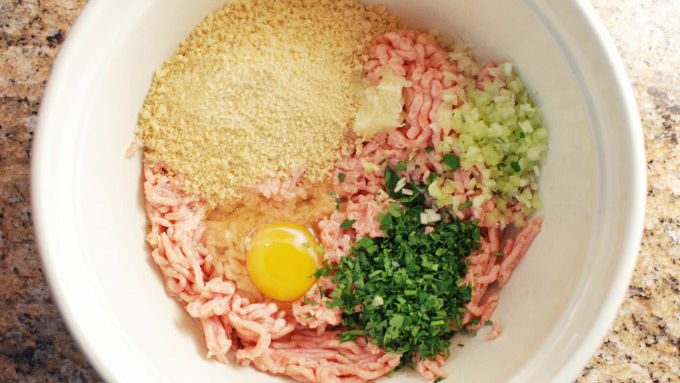 Form your meatballs by putting some meat into your hand and flattening it out. Add a chunk of blue cheese and wrap the meat around it. Roll it in your palms to form the meatball, making sure it is sealed. Using slightly wet hands will help prevent the meat from sticking to your hands. Broil the meatballs for 8 minutes, flip and broil another 6 minutes. Make the sauce by melting the butter in a pan and adding the sugar. Stir and let it simmer until the sugar slightly darkens in color. Add in the cayenne sauce and stir well. Bring to a simmer. Add the meatballs and stir to coat. Serve with celery. Need a party snack pick-me-up? 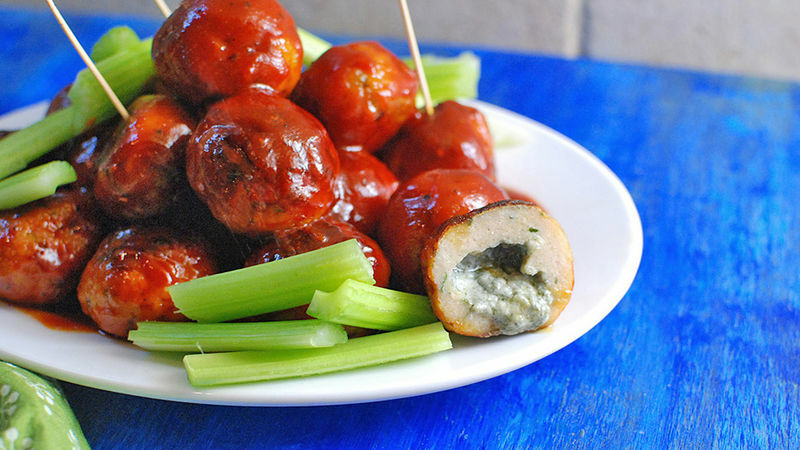 Try cheese-stuffed meatballs drenched in spicy buffalo sauce! These spicy bites have a surprise blue cheese center. 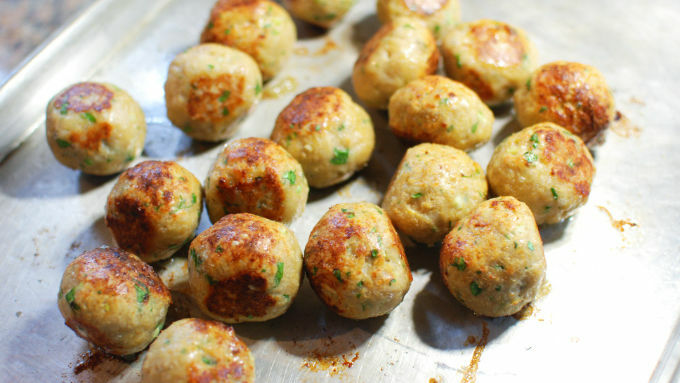 These meatballs are the perfect thing for your next get together. Why? Because they cover all the bases of what people like to eat at a party. They're meatballs, finger food, buffalo-flavored, stuffed, and everything is in one bite. Those are the 5 most looked for things in party food and this has ALL OF THEM. 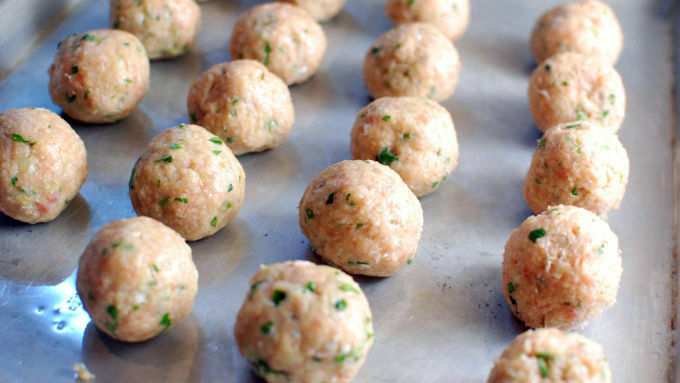 The thing that makes these chicken meatballs unique is the blue cheese stuffing. This means you don’t need to worry about dipping anything, it's all self-contained. Be careful serving them too hot though, the cheese will burn! These have really spicy and pungent flavors – the perfect dish for watching the game or having some friends over. Be careful though! That cheese inside is hot!